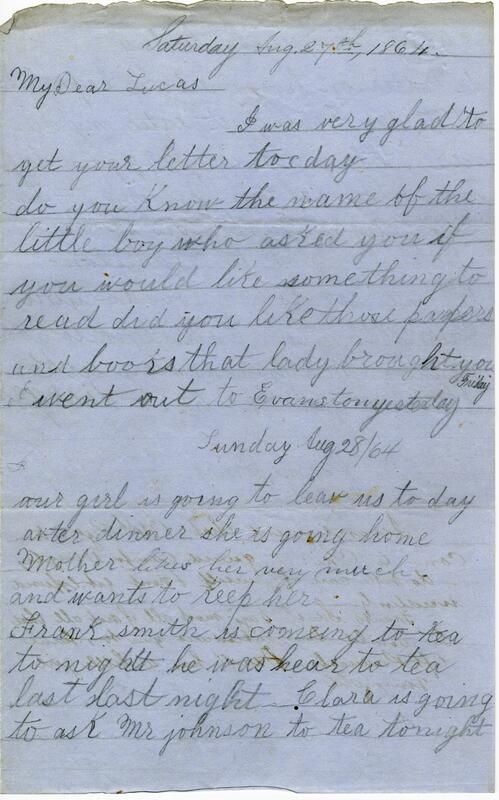 Item Description: Letter written on August 27 and 28, 1864 from Amy to Andrew Lucas Hunt. She describes life back at home and mentions a trip to Evanston, IL. Andrew Lucas Hunt was from Chicago, IL and was an officer with the 134th Illinois Regiment, United States Army, during the Civil War. 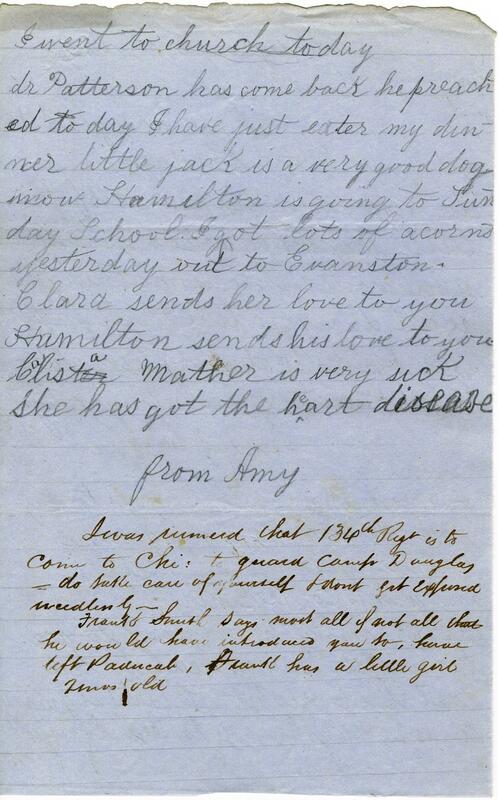 This entry was posted in Southern Historical Collection and tagged Andrew Lucas Hunt, Chicago (IL), Evanston (IL), social life. Bookmark the permalink.